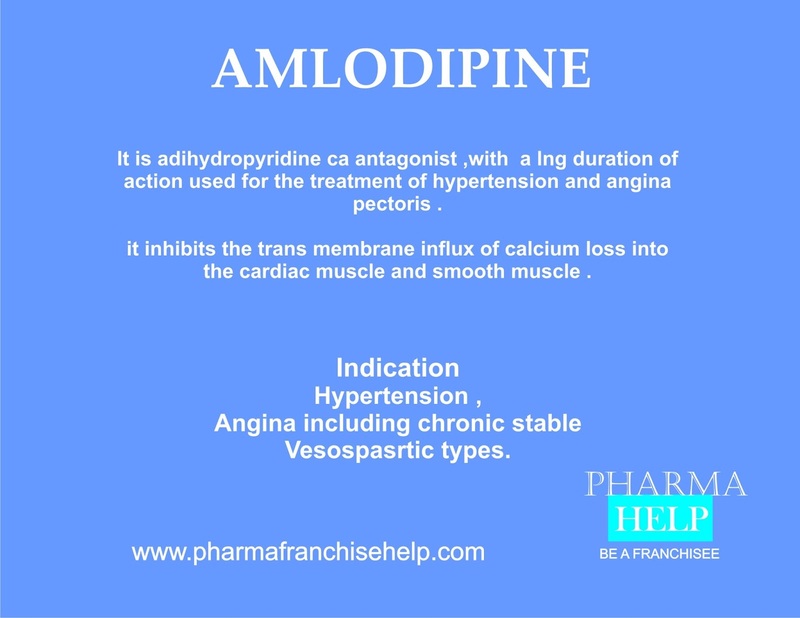 It is a dihydropyridine Ca antagonist ,with a long duration of action used for the treatment of hypertension and angina pectoris . It inhibits the trans membrane influx of calcium loss into the cardiac muscle and smooth muscle . Angina including chronic stable and vesospasrtic types.